Unit 18 Lot 44; TOT ID# 1601. 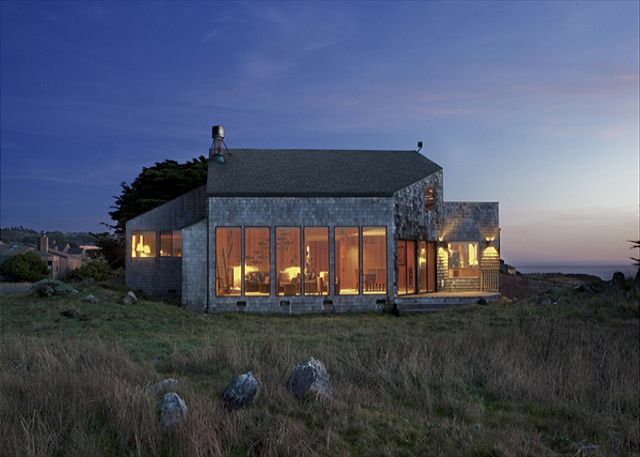 This spectacular ocean front home features one of the most stunning coastal views on Sea Ranch. 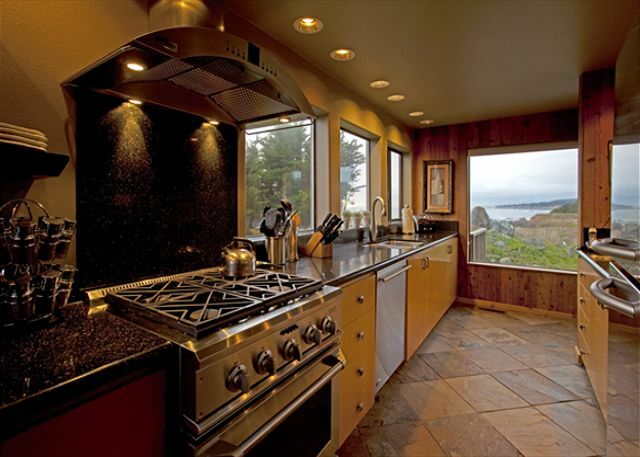 Completely remodeled in 2006, the home features a new gourmet kitchen, barbecue, 30 foot vaulted ceilings and unobstructed views of the coast from the living room and dining room. 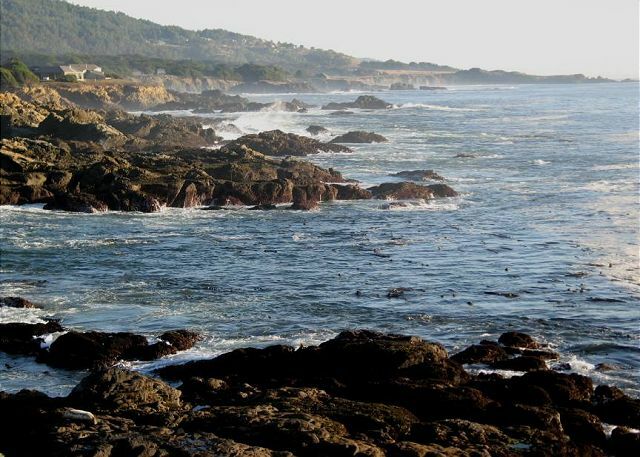 Seals abound less than 200 yards away at the Sea Ranch Marine Preserve and trails lead to easy tide pool access 100 yards from your door. The Ohlson Ranch Recreation center is a short ten minute walk for those wishing to swim or play tennis. The house also features a large flat screen TV with cable, free high speed internet and free national long distance phone lines. Whether you come to watch for whales on the upper deck or relax in the private hot tub this is the perfect place to escape and enjoy nature’s beauty. Linens are included. Due to the close proximity to the ocean, homeowner suggests guests age 8 and older occupy this home rental. 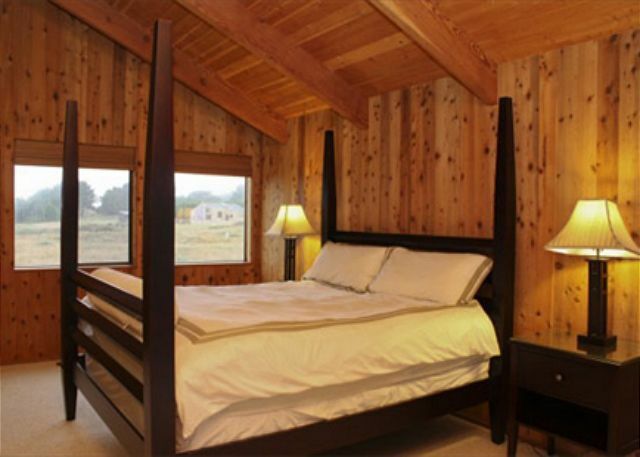 See additional photos and 360 virtual tour for Arch Rock on our website under Accommodations.BED LINENS AND TOWELS INCLUDED WITH THIS RENTAL. House was perfectly located, steps from the bluff trail and we could hear the waves all day. Clean, well-stocked kitchen for cooking, but also love to go to breakfast at Trinks. Only issue was a moldy aroma, very strong in the stairway down to the garage. We've stayed twice at Arch Rock, and are looking forward to next time! The house is spacious and fantastic for privacy - the two large bedrooms are across the house from each other. 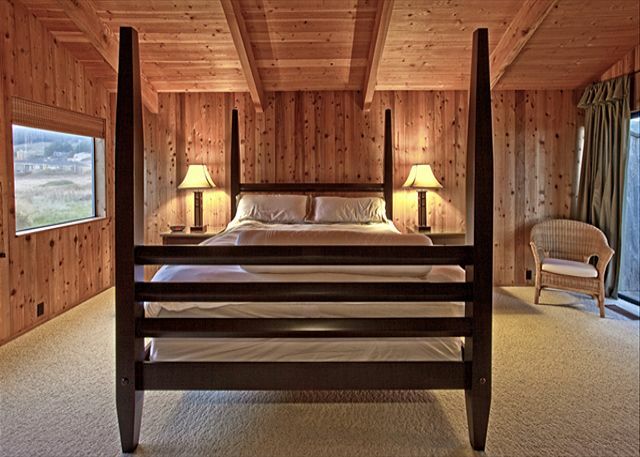 The two king beds - much appreciated by this very tall family - are very comfortable. The kitchen is very well appointed and had everything we needed to prepare breakfast, lunch, and dinner. 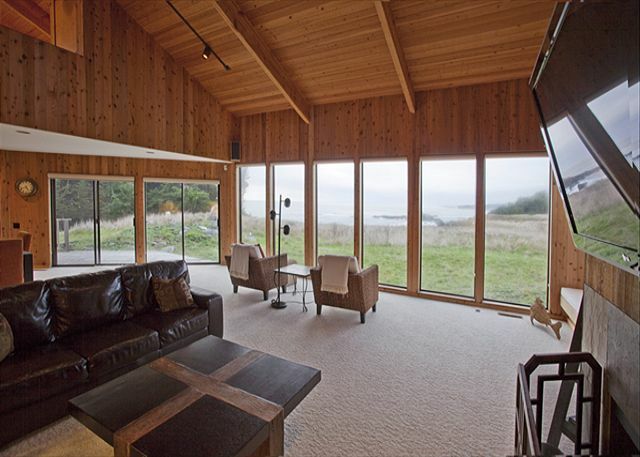 The living room with its wall of windows is where we spent most of our indoor time mesmerized by the water, watching deer and birds, and spotting tons of spouting whales. The bluff trail is just steps from the sliding glass door, making it easy to wander up and down the coast, exploring beaches and coves. Minor notes: The wifi wasn't working on our most recent stay, but we were told this is a fairly common occurrence in the coastal community so plan accordingly. We also found that the BBQ didn't work only when we rolled it out of the garage to cook. If you're planning to grill, I'd suggest checking the status of the (very nice) gas BBQ when you arrive so that you have time to fix any issues. Once again, Beach Rentals provided everything we needed for our stay. Including sympathy and help when one of us fell in the shower and had a heck of a time getting out! I feel so cared for by the staff and know that their help is just a phone call away. Great stay in a beautiful, comfortable home with well stocked Kitchen. All around great. We have rented this house at least 10 times and generally are happy. However, this is the third time something wasn't right when we got there. Once the outside deck was being rebuilt...tho one we depend on using every day. We were not told in advance. This time the oven, the one we generally love to cook in was broken and again, no advance warning. Just a toaster oven as a replacement. People should be notified of these things and not surprised. Location was fantastic, the house was very usable, views amazing. a guest from Redwood City, California does not recommend this vacation rental. 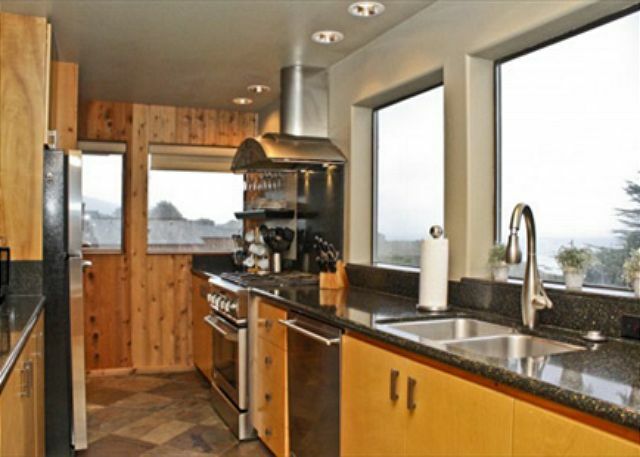 Over 40 years I have rented 30+ Sea Ranch homes. I am comfortable paying the premium for top ranked homes based on their location and their views. This is the 1st time that I have complained about a serious misrepresentation by the owner in their description of a house and its key attributes. The owners represent that this "ocean front" house has stunning "unobstructed" views. This is a shameful misrepresentation. 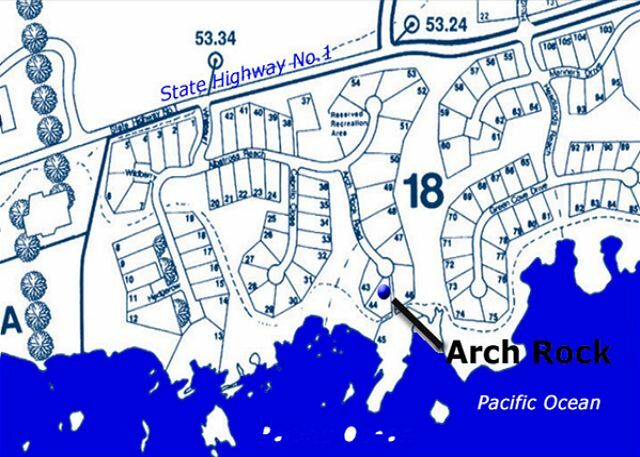 First, there is another ocean bluff home directly in front of Arch Rock. And, oh by the way .. there is also a massive Cypress Grove between Arch Rock the ocean bluff which completely destroys the ocean vista. I can not think of any reason that the owner would fail to even hint at the Cypress Grove and its impact except they believe their rental income is worth more than their integrity. A view from every window. We loved the home. It was beautifully furnished and provived whitewater views everywhere we looked. Arch Rock is a great house at Sea Ranch. Clean, well maintained and in a great location. Only two suggestions: The lighting needs to be upgraded, it is very hard to see at night - a third real bed or more comfortable sofa pullout would be welcome. Once again it was fantastic! Arch Rock was in a great location with fabulous views from almost every room. Being on the bluff, you had easy access to many walking trails right from the house. The great room was a lovely place for gathering and just sitting by the windows with a cup of coffee or glass of wine, watching the ravens soar, turkeys bouncing along , great white egrets and much more! I would suggest having martini glasses for the guests...they would have been a nice addition. Also, the hot,tub was in a strange view of the ocean and it felt very enclosed. However, I did love the house! A very restful time in a scenic location heightened by fabulous sunsets. We had a great experience. The house was appropriately supplied (gas in a the grill, all cooking utensils and items needed, hot tub clean and ready, etc.) and location was magnificent. The only negative --Picking up the key was a bit of a challenge when not familiar with the area -- seems like a passcode on a front door lock would be much easier. This was a small issue. We enjoyed our Arch Rock Road stay. The home is well located, has a great north coastal view and was comfortable and well appointed. We would enthusiastically return. Suggestions: The grill is sub-par and we did not use it. One of the rear doors and the screens were a challenge. Better instructions for the sound system would add to the experience. Replace the place mats. This was our second family visit to the Arch Rock home. We were again delighted by the house and all that it offered. The view is fantastic and it is only steps from the great walking trails. We watched the sunset each night on the water and enjoyed the perfectly appointed amenities. I can't think of anything that we needed or wanted; it was all there. Even though this house is not right on the cliff, there are views of the ocean from just about every room. My husband and I had a very tranquil, restorative, three-night stay here in December between Thanksgiving and Christmas. We encountered very few people on our long ocean walks, making it a perfect time and place to commune with nature. The house was very comfortable and clean. The property management staff members were all helpful and professional. Highly recommended. Beautiful home in a spectacular location. Couldn't be happier! We continue to come back as Arch Rock is such a comfortable, clean and quality rental. Thanks to the owners and Beach Rentals for all you do to make this property and the rental experience so positive. We loved Arch Rock and will definitely return. The views from the large open dining room of the bluffs is spectacular. And the views from the kitchen and master bedroom were also nice. There were a few small improvements that need to be made. Quite a few blinds in the upstairs bedroom didn't work. The lighting in the downstairs bedroom was awkward. They could have used another lamp. There weren't any champagne flutes but when we called the office they provided some which we picked up when we went into town. The surround sound in the living room didn't work with our iPod. We definitely want to learn how to get that to work on our next stay. The fireplace was a gas one which at first was a disappointment but then we didn't mind and actually thought it was probably better. These were very small things. The home was fantastic and we look forward to return. 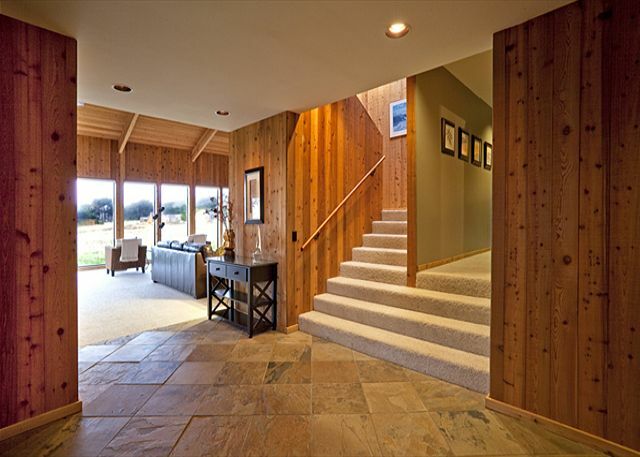 Arch Rock is a lovely house, perfectly located to enjoy the best of Sea Ranch. We have lived in the Bay Area for years but have never been to Sea Ranch. We needed to,get away this Cgphristmas . It was a no tree, no cards, no entertaining holiday for us so we escaped! The home we rented was perfect! We felt at home. We have no complaints! This is a beautiful home, well organized and full of most of what one could want. It is in a lovely spot that allows for time spent watching the ocean, the sunset, and even whales. It could use a few new shower heads but aside from that it was great. a guest from Napa, CA does not recommend this vacation rental. This house was the setting for my birthday weekend with friends who love to cook, enjoy their coffee with stunning views and hike. I woke up to a family of deer outside the masterbedrlom window. We looked at the stars from the hot tub. We had cocktails on the deck as the sun set on the ocean. We cooked two gourmet meals and found the kitchen well appointed, clean and spacious. We walked the trail along the bluffs and saw countless seals. I did yoga in front of the floor-to-ceiling windows. We had great music customized by us because the sound system in the house allowed us to play music from any smartphone. And all of the electronics worked perfectly. The beds were comfortable and the linens high quality, and even the pullout couch bed in the loft was fine and came with ovean views. Best experience in Sea Ranch to date! We had a wonderful stay at Arch Rock House. It was so relaxing to sit by the ocean with a glass of wine at the end of the day. It was wonderful watching the beautiful sunsets while listening to the sounds of the waves crashing on the rocks and then quietly lapping up onto the beach below the house. Observing the sea lions sun and frolic in the marine sanctuary was a special treat. We didn't get to see the raccoons living nearby, but they left their footprints on our rental car's hood to announce their presence. We had a great time and would definitely come back again. Our Favorite Place to Stay at Sea Ranch! We have been going to Arch Rock for several years now. It's familiar to us, and that takes away any worries about what we might encounter in a rental property. We love the location and views. The home is comfortable. Television service has improved over the years--that's a good thing, because we love to watch the Giants and the Warriors games! There are a couple of issues we have with the place, and it would be so nice to see a change. The deck off of the great room is not adequate size for lounging, eating outside, etc. And this last time we couldn't get the oven to cook at a reliable temperature. 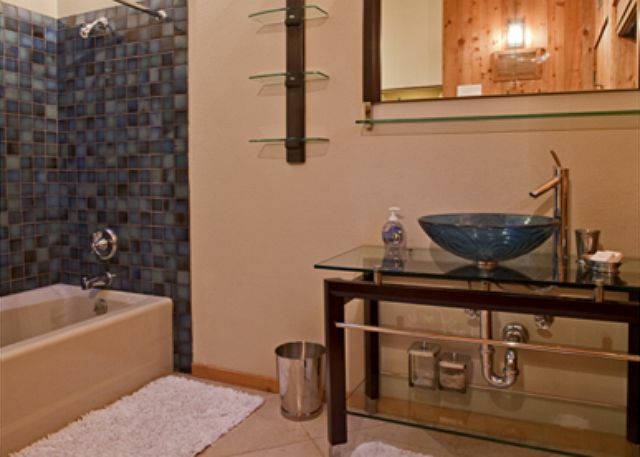 Other than that, we enjoy the hot tub, and almost everything else about this home. The house is perfectly situated along the coastal trail and in close proximity to Rec Center. We saw lots of wildlife right in front of our window. Arch Rock is a most remarkable experience....comfortable, beautiful and views and location are majestic! Arch Rock is a wonderful house. Our second time here. Kitchen is well stocked. Highlight for us - we saw multiple pods of Grey Whales, even out the kitchen window. Beach Rentals staff very friendly, efficient and helpful. This was an amazing experience! We've known about Sea Ranch for years but finally booked a few days on the end of a road trip. A somewhat long drive from civilization to the coast but.... WOW!! Worth every mile! The pictures of the "rental" property were sooo accurate. Views from every turn. This "rental" was, in fact, a home and we feel so privileged that the owners shared it with us. We were beyond pleased and are planning our next trip back - more days next time. My husband and two teenage children rented this house for 4 nights and I wish we could have stayed longer. The location is perfect--quiet with a great view of the ocean and beautiful hiking trails right outside the house. We've rented a lot of vacation homes and this has got to be one of the very top. It's in great condition, the furnishings are lovely and modern, the kitchen has everything you could possibly need (including a pizza cutter and a ladle for soup). We could have happily spent the entire 4 days just enjoying the house and the trails, but we did go into Gualala a couple of times for meals and grocery shopping. The people at the rental office were extremely friendly and professional. I can't wait to return to Sea Ranch. We will definitely rent this house again. Thank you for a wonderful experience! Sea Ranch is gorgeous. My husband and I enjoyed watching the Sunset while eating dinner and had fun watching dear stroll by while we had our coffee in the morning! One evening we even went for a late stroll to watch the waves crash in. The home is immaculate and very comfortable. Everything available in kitchen for all meals. The Rental company was so very helpful and accessable. Even more wonderful than the pictures show. We loved running the trail along the bluffs. Great experience! The view from Arch Rock is stunning! We fell in love at a sea ranch rental 25 years ago. 25 years later we returned to beautiful sea ranch and fell more in love! Arch rock is a beautiful home, clean, comfortable and fantastic views. Pair all that beauty with a nice Anderson Valley Pinot and the one you love and life doesn't get any better! Thanks for the memories. We enjoyed our stay at Arch Rock, the view was so incredible. 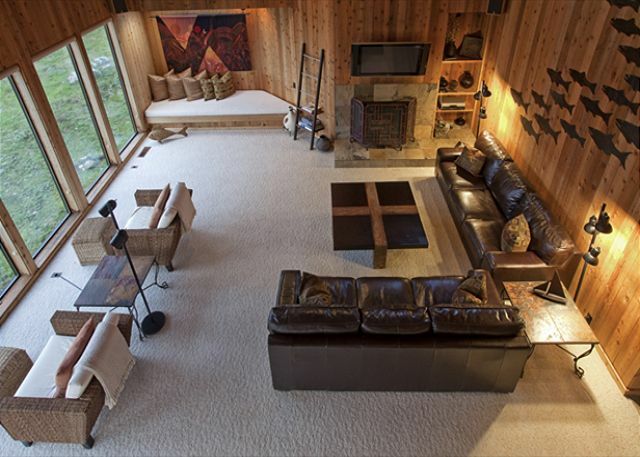 Nice open floor plan, prefect for 2 couples. This home is lovely and has all the conveniences. We loved sitting in the living room chairs overlooking the hillside while enjoying a glass of wine or cocktail. 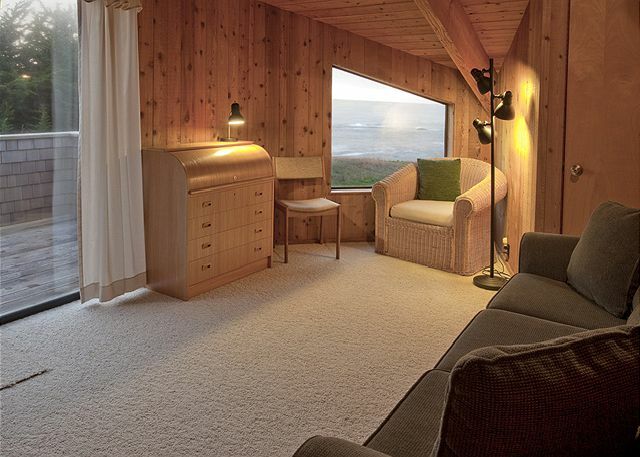 We needed a getaway after having a very stressful couple of months, and this home and Sea Ranch provided it. Would definitely stay here again. This is the second time we have rented the Arch Rock house. We really enjoy the house and location. Good rental for holiday weekend getaway. Quiet sheeting, privacy assured, great views of sunset. Spent the holiday weekend with my family and parents. The perfect amount of space and great views. The house had all the necessary amenities, except that the blender container was cracked and they did not have a replacement and there were no coffee filters provided (not sure why it would be expected that a fully equipped kitchen would come with out, i suggest purchasing a mesh 's evergreen). Well appointed. The upstairs bathroom shows a bit of wear and tear but everything is functional. That aside, everything is really lovely. And I would stay here again or recommend for a family or two couples. It we were all sad to leave. Perfect for doing nothing. Perfect for doing a lot . Perfect for doing a lot of nothing. Very relaxing. Only issue was internet going out and that would not have been an issue except we were using it for Pandora music. We got by without it. Great house, great location, and it was well equipped. 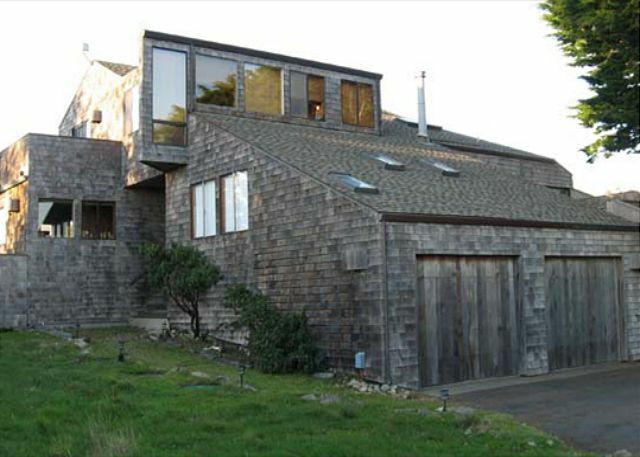 We've been coming to Sea Ranch, and this property, for years. Very impressed with how well it has been kept up and quality of the furnishing and amenities. Loved the new spa. Thanks to Beach Rentals and Arch Rock owners for service and a great experience! For first time, we saw a bobcat hunting right outside windows, and also again saw a fox nearby. January in Sea Ranch is a delight. We have stayed at Sea Ranch many times, and this is the first time we stayed in a house we want to return to. It was very clean, great location and had a very well-equipped kitchen. My idea of heaven! Had a great time. Everything was ready for us when we arrived. Had fun cooking dinner and relaxing by the fireplace our last nite. View is wonderful. Enjoyed walking along the trails. Even the storm was entertaining. Would highly recommend. This house is awesome. Great views and location. Very comfortable. We have stayed there many many times. We enjoy it every time. What fun we had...everything from the beautiful cliff walks, the relaxing on the deck, the hot tub, cooking in the great kitchen, enjoying the views and even having complete visibility of the Space Station fly-over!! Loved our annual birthday weekend!! to check out without driving 16 miles out of our way. All in all very nice. We had a great time in S.R. as we always do. Arch Rock is a great location in S.R. to walk to everything. A few more common spices would be nice to have. Lovely home! 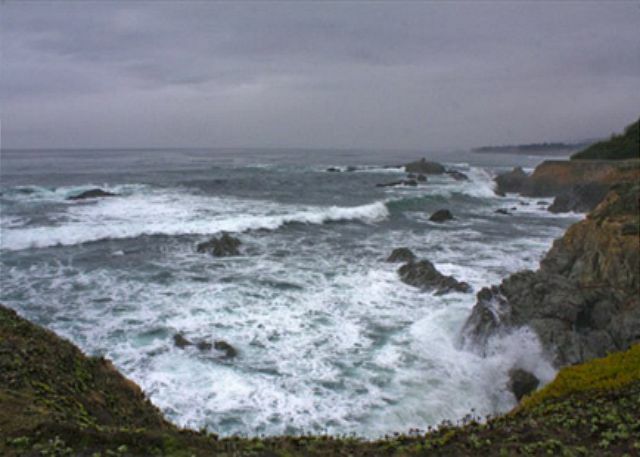 We are very familar with Sea Ranch as years ago we would spend weekends staying at the Lodge. We love the area and the ocean. To celebrate our sixty second wedding anniversary we rented the Arch Rock home for ourselves and a couple of family members. We could not be more pleased with this beautifull home and the remarkable view. Exceptional detail had been made to be sure that everything that might be needed was there. Really all you had to do is bring your food. We would certainly like to rent this same home again. 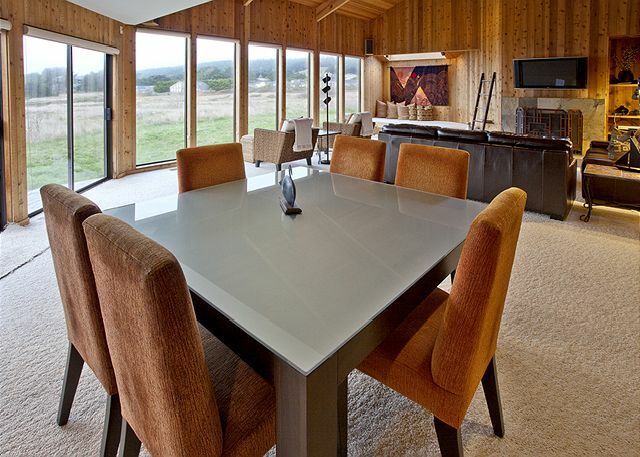 I've stayed at Sea Ranch a dozen times over the last 15 years, and this home is my favorite. The downstairs open floor plan with excellent white-water views is great, and the bedrooms are also very nice. Would highly recommend. Needed a few light bulbs replaced, and could not get the light near the hot tub to work. Small things that did not detract from overall positive experience. WE LOVE THE ARCH ROCK HOME. WE'RE ABLE TO GO OUT AND WALK ALONG THE SHORELINE OR JUST SIT IN THE CHAIRS BY THE BIG GLASS WINDOWS AND STARE AT THE WAVES/WEATHER/DOGGIES WALKING BY WITH THEIR OWNERS, ETC. dvd player did not work and internet did not function. Everything else was perfect. We have stayed at many houses at Sea Ranch. This house rates up at the top. The views, the spaciousness, the location, the kitchen and I could go on and on... We have rented houses where the kitchen comes with only the bare essentials (pots, pans and plates). This house came with everything you would need to cook a meal and then store the leftovers. There was an entire pantry with extra supplies. The only negative thing I can say about this house is that we were unable to see the sunsets from the house because of the trees, blocking where the sun goes down. This may only be a problem in the winter months. Thank you for the great mini-vacation. We loved everything about our Arch Rock. The location is spectacular, comfortable without being over the top, the kitchen stocked with everything we could need, all was in great working order. It's clear the owners love it, and that makes one want to leave it in great shape. Hope to go back soon! We had a fabulous 3 day vacation to celebrate our 25th wedding anniversary and birthdays. We included our daughter and son and thier respective boyfriend/girlfriend. 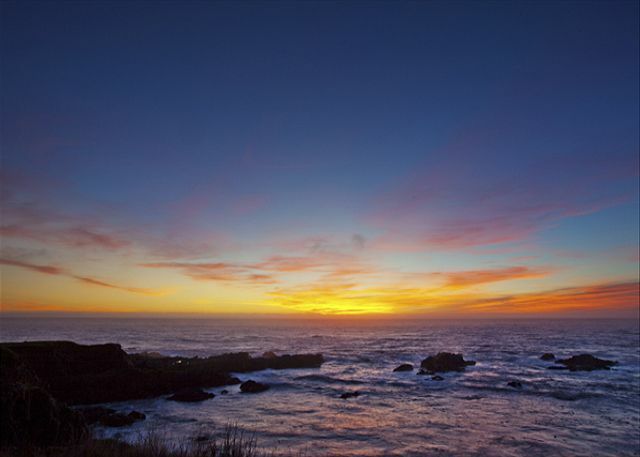 As a family, we have been enjoying Sea Ranch for many years including our honeymoon. We had a five star meal,5 star accomodations including an incredible setting with a spectacular sunset! With our own personal chef(daughter)we had a fabulous meal:leg of lamb,potatoes anna,etc.... The sommelier(son)served incredible wines... the galley style kitchen was functional easy for the prep team(BF/GF) to work in. The dining area was a nice size with comfortable chairs and a great views! The living areas were comfortable easy to interact as a family,read or enjoy looking at the views. Each room had fabulous views.The upstairs bedroom had a spectacular view! WOW what an incredible view to wake up to! The location of Arch Rock is perfect near driftwood beach where our kids(in thier youth) and my husband(in his youth) had built driftwood forts. 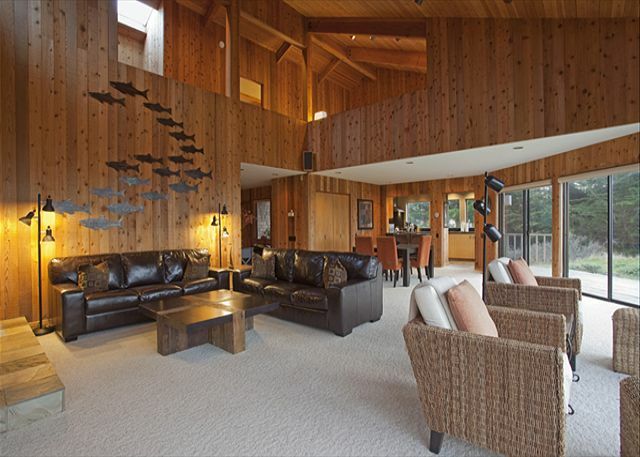 We have had the opportunity to rent other houses over the years but Arch Rock was the epitome of them all. Unit 18 is the best location it is close to the recreation center,trails,marine preserve and beach. As an Interior Design professional it was a pleasure and easy on my phyche to stay in a house that was nicely decorated with furnishing that were functional,and comfortable and worked well in the space (no 1970- 80's colors or 2nd hand decor that many vacation rental homes still feature)Sea Ranch is magnificeint and has incredible natural beauty that has Zen like qualities. 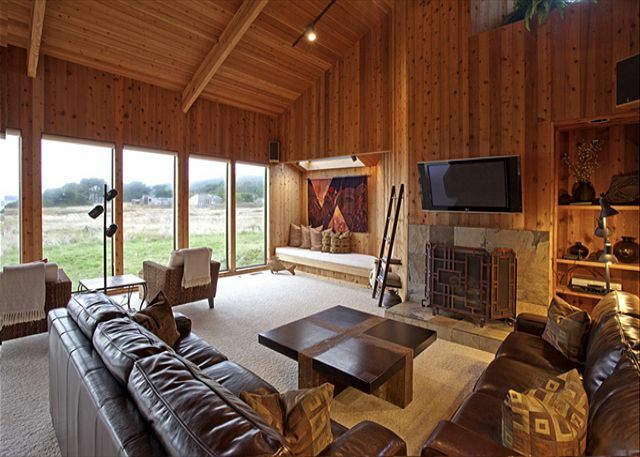 The aesthetic of Arch Rock's interior and exterior compliments rather than take away from your Sea Ranch experience. We all look forward to coming back to Arch Rock! My wife and I shared an ideal vacation at Arch Rock. The location provided stunning views of the ocean, and easy access to the walking paths that border the bluffs. 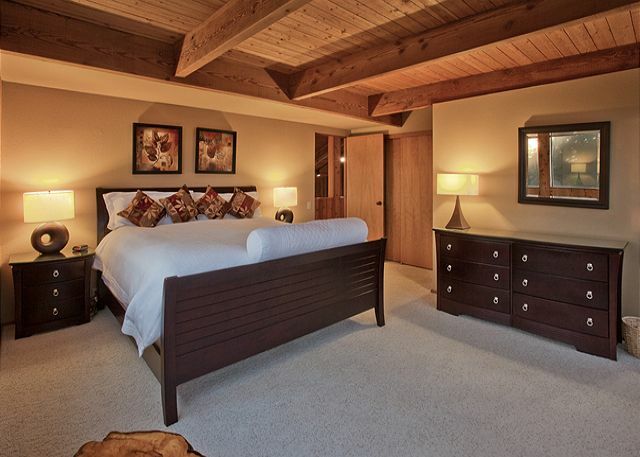 There are two master bedrooms, set on different levels, providing both couples privacy. We will return! We have rented Arch Rock many times and like always, just wished for "one more day". The home is well appointed and so comfortable. Thank you to the owners and Beach Rentals for another great stay. DVD's, kitchen equipment and supplies. Thank you for the perfect stay! Well maintained and comfortable house with many amenities. We felt very welcomed in this home. Wonderful view of course, and great location, even with trail crossing in front of property. It was not crowded at the time we were there, and we did not feel any impact from the trail. The gas fireplace malfunctioned, and we thank both the property manager and repairman for their prompt attention to and action on the problem. Beautiful house, great location-we plan to return to Arch Rock! A hotel quality experience with the relation of the outdoors from every window, and open spaces of every room. 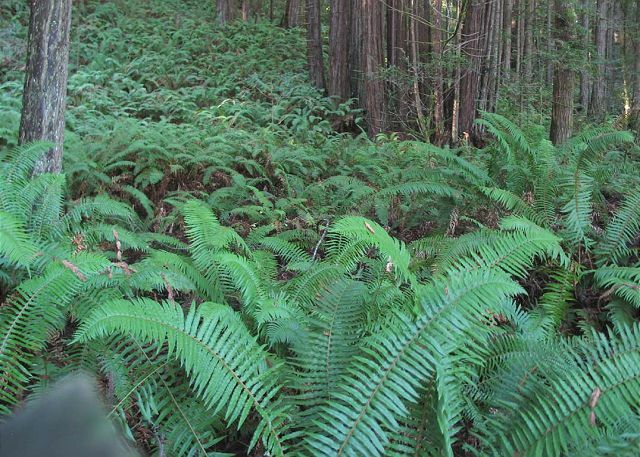 We were lucky enough to get great weather that made sea ranch even more beautiful. Unfortunately, we were not lucky enough to see migrating whales. We did however, see tidepools, seals, beautiful beaches and constant views from the house of gorgeous coastal beauty. I picked this house for location and appearance, not to be dissappointed in anyway. I was surprised to have any item you could possibly need or otherwise have to bring, available and thought of already, right there in the house. Hope to apend time at Arch Rock again soon! 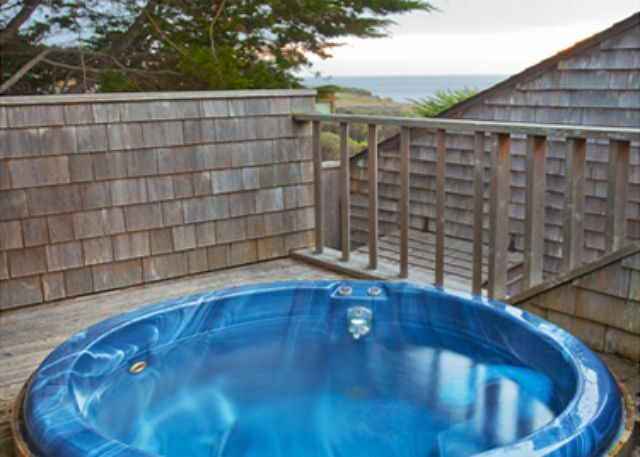 Privacy, ocean views close-up, sleep to the sound of waves, a cook's kitchen, total comfort...Sea Ranch perfection. Wonderful place. Would love HBO. I have been dealing with Beach Rentals for years and would feel comfortable staying at any of their rentals. They are one professional operation! Arch Rock has one of the best locations in all of Sea Ranch. The views north are spectacular wether rainy, sunny, or overcast. The house is very modern and warm at the same time. 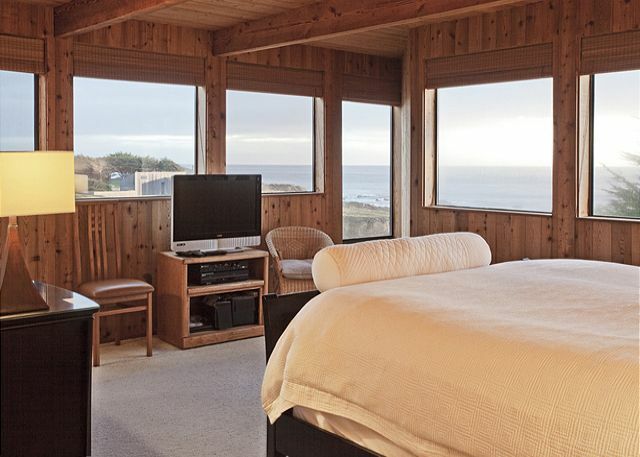 There are cheaper places to rent at Sea Ranch, but none more beautiful. Wear your pajamas when you are downstairs as the trail goes right in front of the house and you are in a bit of a fishbowl.